Welcome to the RNA course at Lecturio. 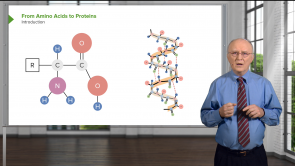 Here you will learn about the structure, function, and metabolism of RNA. This course is designed for undergraduates and medical students. Learn with high-yield lectures, lecture reviews, and quizzes for a fully customized learning environment. Study from your computer, tablet or even your cell phone. Ribonucleic acid (RNA) is a polymeric molecule, which is implicated in different biological roles such as coding, decoding, expression of genes and regulation. Biological reactions within cells are catalyzed by some RNA molecules, which control gene expression and communicate responses to cellular signals. 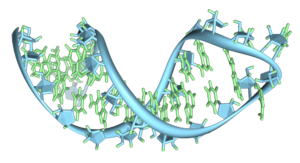 The structure of RNA is similar to that of DNA, but there are some differences between them. Transcription and translation convert a gene into protein. 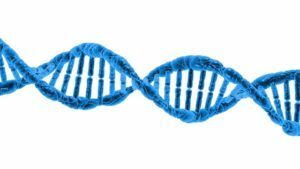 During this process, the genetic information of a gene, the DNA, is converted into RNA so that protein may be realized later on. This article will provide you with exam-related information regarding this process, thus preparing you ideally for the upcoming exams. Understood the lecture clearly. Very impressed by how clearly he explains things. very good outline and examples given in a step by step manner. Getting to like biochemisrty after years of putting this subject aside. Thank you. It is very concise and practical it helps me a lot to understand in an easy way the collagen process. The best professor! He makes everything easier. Very good lectures.